Beer and soft drink manufacturer SABMiller PLC has had a fantastic run over the past few years. The shares have leapt from less than 1,000p in the financial crisis to around 3,250p today. But does that mean the best gains are in the past rather than the future? 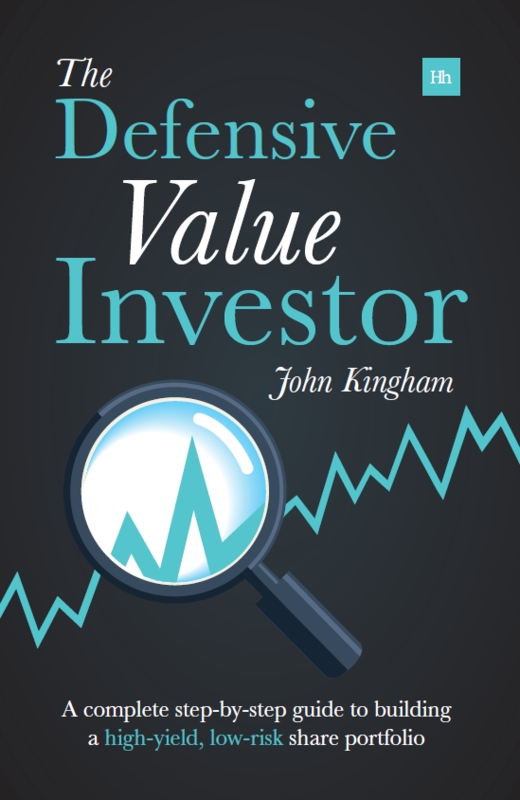 In order to find out (or at least develop a sensible opinion), I’ll run the company and its shares through a checklist of 24 questions ending with a calculation of a “fair value” and “good value” share price. SABMiller is one of the world’s largest beverage companies and has been brewing beer for over a century. Its global beer brands include Miller and Grolsch and it is also one of the world’s largest bottlers of Coca-Cola products. It operates in the defensive Beverages sector and has a significant footprint in emerging markets, making it a favourite of many relatively defensive investment funds. 1. Does the company have an above average track record of growth? As a defensive and income-focused investor those results are exactly what I like to see; steady, progressive dividend growth supported by growing revenues and earnings (the dip in dividends between 2013 and 2014 was due to exchange rate movements as SABMiller sets its dividend in US Dollars). So as the chart suggests, on the growth front SABMiller is clearly above average. 2. Is the company more profitable than average? NO – I measure profitability using post-tax return on capital employed (Net ROCE), taking the median value over 10 years. 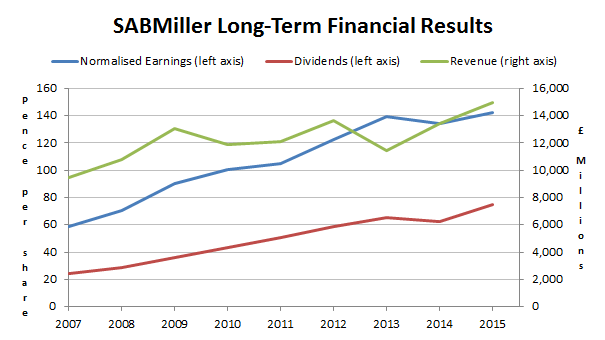 Somewhat surprisingly (to me at least), SABMiller’s post-tax profitability is below average. I have a rule of thumb which says don’t invest in companies where Net ROCE is below 7%. SABMiller is above that, so its profitability isn’t so low as to be a problem, but it will affect my estimate of what the company is worth. 3. Does the company have conservative financial obligations? YES – By “financial obligations” I mean total borrowings (interest-bearing debts) and defined benefit pension obligations. I compare each of those to 5-year average post-tax profits to produce a Debt Ratio and Pension Ratio. The Debt Ratio is fairly high, but not too high according to my rules on leverage. Relatively high debts are one of the reasons SABMiller’s post-tax profitability is quite low. Post-tax profitability is also measured post-interest payments, and interest payments are obviously higher when debts are higher. Although its current debt levels are quite high the company has a history of using even larger amounts of debt. For example, in 2012 its borrowings exceeded £12bn, giving it a Debt Ratio at the time of 8, which is far too much as far as I’m concerned. That may indicate a willingness to take on large amounts of debt in the future too. Although large debts have not been a problem for the company so far, it’s still a risky game to play as you never know what’s around the corner. 4. 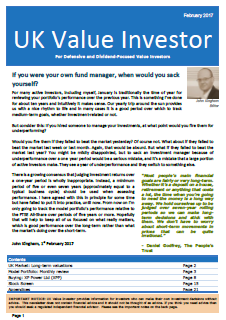 At the current share price, are the valuation ratios better than average? SABMiller fails to beat the FTSE 100 on any of my valuation metrics, which is a good indicator that the shares are not obviously “cheap”. However, it is entirely reasonable to pay a higher price relative to past earnings and dividends for high growth companies, as long as the company can continue to grow faster than the FTSE 100. 5. Does the company have an obvious core business? YES – SABMiller is a manufacturer and supplier of beer and soft drinks. 6. Does the company have a clear and consistent goal and strategy? That has more or less been its goal for many years. This strategy has also been in place, with small variations, for a number of years. 7. Does the company have profitability, leverage, liquidity or investment as Key Performance Indicators (KPIs)? YES – Improvements in margin (profitability) are measured, as is free cash flow, which is related to liquidity (i.e. ability to pay short-term liabilities). 8. Is the company in the leading group in terms of market share within its chosen markets? YES – SABMiller is the world’s second largest brewer by revenue. 9. Has the company had the same core business for many years? YES – SABMiller was formed in 2002 after SAB acquired Miller. SAB was founded in 1895 as South African Breweries while the Miller Brewing Company was founded in 1855. YES – I can’t see any obvious signs of major “bet the company” projects currently underway. 11. Is the company free of the need for large capital expenditures (capex)? YES – SABMiller spends about 60% of post-tax profit on capex, which is a fairly normal amount for most companies. YES – Sales are effectively generated one bottle at a time. NO – in 2012 SABMiller spent £7bn on acquisitions which was more than 3-times that year’s post-tax profits. The large acquisition expense in 2012 was primarily down to the purchase of Foster’s, the Australian beer business. The integration of Foster’s does not appear to have destabilised or held back the business. The acquisition also took the company’s total borrowings to more than £12bn, which was almost 8 times its 5-year average post-tax profits. That’s far more than I would want to see a company take on, even a defensive company like this. Excluding 2012, SABMiller spends about 20% each year on acquisitions, which is still substantial but not necessarily a problem, as long as the money is well spent. YES – The largest acquisitions have been directly related to the beverage business. YES – Beverages is a defensive sector and the amount of beer and soft drinks consumed does not change significantly through the economic cycle. If you look at SABMiller’s results through the financial crisis in the chart above, they were barely affected. YES – I think it’s reasonable to assume that how people purchase and drink beer and soft drinks will not change significantly in the foreseeable future. YES – The majority of SABMiller’s profits come from emerging markets, which are expected to grow faster than the global average for many years and possibly decades. YES – Profits come from selling strongly branded beer and soft drinks. These drinks and their brands do not need to be replaced in the same way that patents or large contracts do (for example, Grolsch was founded as a brewery in 1615). YES – The answer here is somewhat mixed, with some of the company’s products competing primarily on price while others compete on the strength of their brand. SABMiller’s preference though is to compete primarily on brand. One of its major focuses has been the “premiumisation” of its brands and markets in order to achieve the wider profit margins available to premium brands. YES – Although commodities are used as raw material inputs, and therefore do have an impact on the company’s results, the impact is relatively small and often gets lost in the “noise” of other volatile factors such as currency exchange rates. NO – There is no explicit ROCE target (or similar) in the annual reports. Post-tax ROCE is weak at 7.4%, which is just above my minimum investible level of 7% and significantly below the post-tax ROCE of other Beverages sector companies in the FTSE 350. 22. Having asked all these questions, do you still think the company’s debts are sufficiently low? YES – Just about. The company has a history of using a lot of debt. Through most of the last 5-years it has had a Debt Ratio above 5, which is too much for me. However, it is a very defensive company and perhaps in reality these debt levels were not excessive, but I would still prefer it to use less debt when making acquisitions. For now though, I think its debts are just about low enough. 23. Are the odds of this company running into a major (rather than minor) crisis acceptably low? YES – There are no obvious problems on the horizon and that is reflected in the share price. The dividend yield is 2.3%, far below the market average, and so investors are expecting the strong growth of the past to continue. 24. What share price would represent “fair value” and “good value”? Having run through those questions I would be happy to buy SABMiller. It is a global defensive dividend growth stock, which is just the sort of thing I like to own. However, in terms of what return an investor might get from SABMiller, the purchase price is still probably the single most important factor. What represents “fair value” and “good value” for a company can only ever be estimated. For me that estimate should take account of factors such as the company’s growth rate, its profitability, how much debt it’s carrying and how consistently it has performed over many years. My approach to estimating “fair value” and “good value” is to adjust the company’s share price on my stock screen, which already takes account of all those factors. The price that results in a middling rank on my screen (i.e. a rank of 115 out of 230 stocks) is “fair value”, while the price that results in a top 50 rank is “good value”. The “good value” price is the maximum I would consider paying for the company during its current financial year. With the shares currently trading at around 3,250p, SABMiller is just slightly above that fair value estimate. You might think I’m crazy to say “good value” is some 45% below the current share price and that SABMiller will never get back down to 1,800p, and perhaps you’d be right. But look at Rolls-Royce. At the start of 2014 Rolls-Royce’s shares were trading at 1,270p and almost everyone thought it was the perfect dividend growth stock. And yet today its shares are about 40% lower at 760p, slightly below the 800p “good value” estimate I made in July 2014. My point is not that I was “right” about Rolls-Royce, but that the future is an uncertain place, and that uncertainty should be reflected in the price you’re willing to pay for a company, even when that company is as defensive as SABMiller or Rolls-Royce. I think you’re right that SABMiller is heading in fair value territory at the moment. Its share price has been on a slide for some time from its–quite frankly–unsustainably overvalued highs. I haven’t worked out my good value position on SAB thoroughly yet. However, with SAB I am using the PE and yield as an indicator. A future PE below 20 would be a share price of about 3000 which has–like you–been the mark at which I would consider opening a position in SAB. For me, good value is a little less extreme. If It was predicted to be yielding 3% or more I would consider that good value in the current environment. That would be a share price of 2600. That certainly may come…if we’re patient! 1800 would be an absolute steal! A PE of under 12 and a yield well above 4%. It may happen, seems unlikely though. I am willing to wait and see though! Thanks again for the fascinating write-up. As you say, 1,800p looks a little bonkers, but that’s why I gave the example of Rolls-Royce. As Murray Walker used to say, “anything can happen, and it usually does!”. If it doesn’t fall to 1,800p I don’t mind as there are plenty of other fish in the sea, but if it does go that far down due to some headline-grabbing but short-term crisis, I’ll be at the front of the queue waiting to buy. John, I agree with your analysis and personally would not buy SABMiller in preference to Diageo, unless the share price did indeed fall to the level you suggest is good value at 1800 or thereabouts. All your points are very valuable and it’s really good to look at all the qualitative factors in addition to just the numbers. Looking at it another way there are also some simple numbers that don’t necessarily give a comprehensive picture of the company value, but give some strong indicators. These are it’s earnings growth, which is projected to have stalled (-1%) in 2015 and to fall sharply, -36%, next year. This is not that healthy from a company expected to grow it’s revenue at the pace suggested should be a goal for the company and suggested in your article. In addition, there are irregularities with the revenue, and given the amount spent on acquisitions since 2012, I’d say this is a big worry. The revenue dipped from 2014 to 2015 and is expected to decline into 2017. I’d be bold enough to say that SAB Miller is overpriced at the current level, but considering it’s supposed to be a bid target, and has been for some time, it could well sell for a much higher price. I wouldn’t be tempted to buy at this level on the basis of a possible bid though – that’s speculative and could be fantasy if world markets head south. Hi LR, thanks for those additional points. The problems in China are also an obvious worry for companies that are focusing in that direction. John, you mentioned the drop in the Rolls-Royce share price — have you run your appraisal over RR & is it yet at ‘Good value’? I haven’t carried out a detailed review of RR since last year. However, since you asked I’ll do it this week as the company is obviously getting a lot of attention at the moment due to its falling share price.